Virgin Australia chief executive John Borghetti says the airline group is on track to post a first half profit after restructuring charges, writedowns and accounting adjustments pushed it to a statutory full year loss in the 2017/18 financial year. While the company reported a eye-watering statutory net loss of $681 million for the 12 months to June 30 2018, compared with a loss of $220.3 million in the 2016/17 financial year, there was a significant improvement in underlying profit before tax, which removes one-off items and is regarded as the best indication of financial performance. Borghetti said there was strong positive momentum in all parts of the business and the company was well placed to continue this momentum. “This loss is largely due to the recording of non-cash, and I repeat non-cash, accounting adjustments,” Borghetti said during a conference call with journalists on Wednesday. “It does not affect our cash flow performance and it does not affect the fundamentals that drive our underlying profitability. We are confident in the future performance of the business. This is supported by our outlook statement. Virgin Australia reported underlying profit before tax of $109.6 million for 2017/18, an improvement from the underlying loss before tax of $3.7 million in the prior corresponding period. The company said it was the highest underlying profit before tax result in 10 years. Revenue rose 7.4 per cent to $5.42 billion. The result was underpinned by the strong performance of its Virgin Australia domestic business, which achieved an improvement in earnings, yields (a measure of average airfares per passenger) and operating margins. Earnings before interest and tax (EBIT) more than doubled to $246.1 million, from $92.9 million in the prior corresponding period. Revenue per available seat kilometres (RASK), a measure of passenger demand, was up 6.4 per cent, while the number of passengers carried rose 2.3 per cent to 17.6 million. “We have a very strong position in our core domestic business,” Borghetti said. While the domestic business was the standout performer in 2017/18, the other parts of the airline group had a less stellar year. Virgin Australia’s international flying achieved an EBIT loss of $12.8 million in 2017/18, compared with positive EBIT of $500,000 in the prior year. The company said the result was affected by higher oil prices, disruptions to its Bali schedule due to the ash cloud and the investment in its new nonstop flights to Hong Kong. 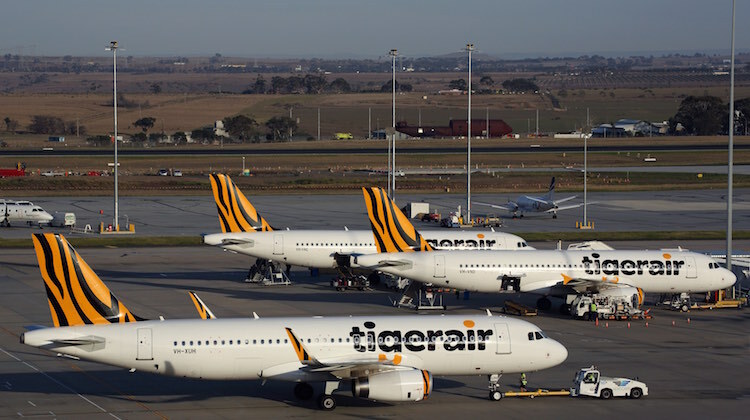 The airline group’s third flying operation, Tigerair Australia, posted a worsening EBIT loss of $36.2 million, from $24.3 million in the prior year, due to “accelerated depreciation from fleet transition” and operating costs associated with switch from Airbus A320s to Boeing 737-800s. And its frequent flyer program Velocity also suffered a 23 per cent drop in EBIT to $110.1 million due to new credit card regulations brought in by the Reserve Bank of Australia (RBA) and its investment in future initiatives. 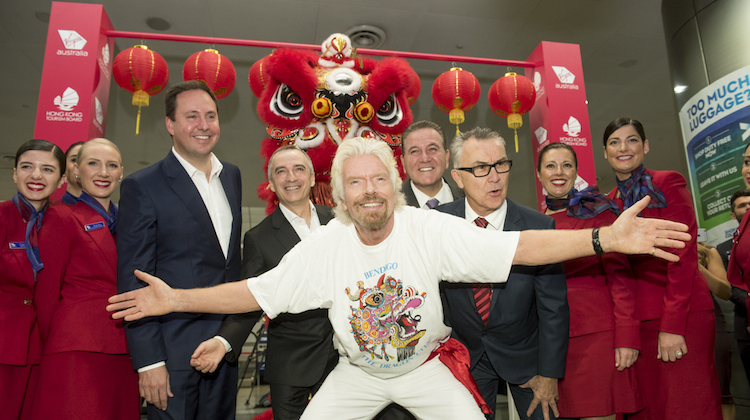 Virgin Australia has lifted the target for its three-year Better Business transformation program that was launched in 2016. The company now expects to achieve $400 million in annualised net free cash flow savings by the end of 2018/19, up from its previous goal of $350 million. Virgin Australia has guided the market to expect a positive underlying profit before tax and statutory net profit after tax in the first half of 2018/19, notwithstanding an expected increase in fuel price. The company said it recorded its highest ever revenue for the month of July and there was “further positive momentum in forward bookings”. And based on current market conditions, group revenue in the first quarter of 2018/19 was tipped to grow “by at least seven per cent on the prior corresponding quarter”. The guidance is a break from Virgin Australia’s practice in recent times of not offering specific earnings estimates. “If you look at all our past outlook statements, I don’t recall ever giving as firm a view as we have in this statement,” Borghetti said. Virgin Australia said there was a $45 million impact from the higher oil price in 2017/18. It expected the total fuel bill for 2018/19 to be $1.2 billion, up about 22 per cent from $986 million in the prior year. Asked whether ticket prices might have to rise due to higher oil prices, Borghetti said Virgin Australia, like any business, had to manage when costs went up. “You can some of manage that through obviously cost reduction in other areas,” Borghetti said. “But you never say you don’t translate some of those costs into pricing, at some point you have to so we will just monitor it very carefully. Virgin Australia’s financial accounts lodged with the Australian Securities Exchange (ASX) on Wednesday showed the statutory result was impacted by a accounting measure to “derecognise” $451.9 million of deferred tax assets. The deferred tax asset held on the balance sheet allows a company to reduce its taxable income in future years. 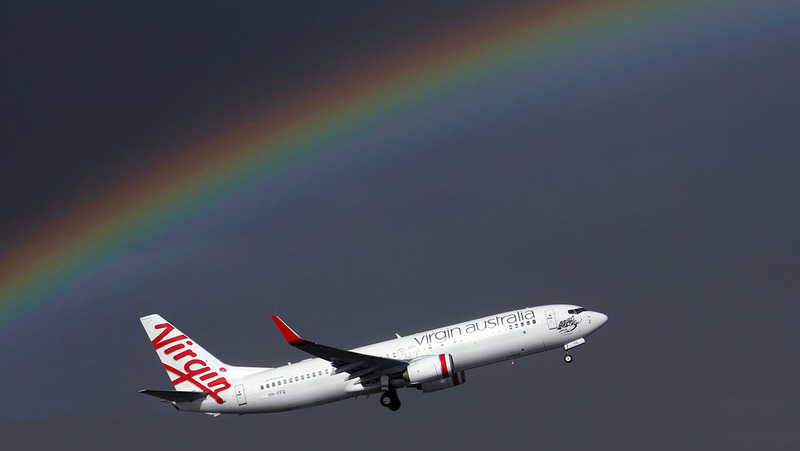 In Virgin Australia’s case, the company has incurred six consecutive years of losses. However, accounting standards say a deferred tax asset should only be carried forward and recognised “to the extent it is probable that future taxable profit will be available against which the assets can be utilised”. And as the Virgin Australia accounts noted, Australian accounting standards require a “convincing evidence” test to determine the probability of recovery of a deferred tax asset arising from tax losses based on a range of factors such as current and forecast operating performance, relevant business risks, plans for future growth in new markets and the causes of past losses. “The directors have determined that the group’s recent history of losses is objectively verifiable evidence that carries more weight than other positive evidence that, whilst in existence, embodies a greater degree of subjectivity,” the Virgin Australia preliminary final report said. Finally, the accounts said the unrecognised losses would be able to be recognised and used in the future once taxable profits are generated. Virgin Australia chief financial officer Geoff Smith reiterated that those tax losses would be “always available to this group to reduce the amount of tax payable into the future”. “This is an accounting adjustment and the tax shield, if you will, continues to remain,” Smith said. “The second point, just to confirm, around the outlook, in terms of our strength that we are seeing and we’ve spoken at length around our confidence in the long-term prospects of the international business with our restructured network and the ability to tap into the growth opportunity of Greater China and the feed that that brings into the domestic network stands the test of time. 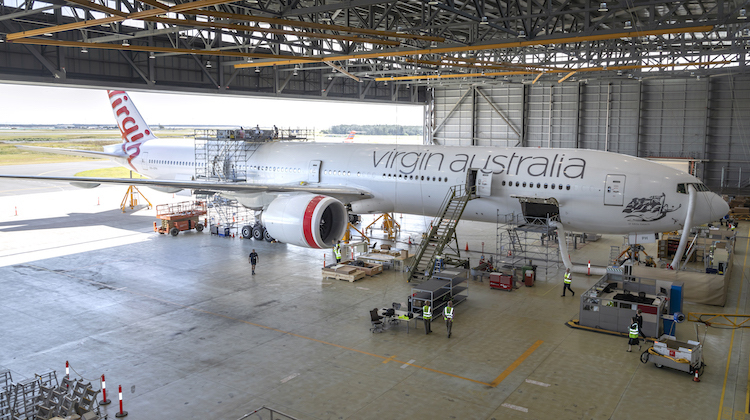 The company also booked $120.8 million impairment charge on its Virgin Australia international operations and $148.5 million in restructuring charges as part of its Better Business transformation program. Smith said the impairment charge of Virgin Australia international reflected its growth in Asia and recent fuel price increases. Meanwhile, he noted restructuring charges in 2017/18 had fallen by $97.6 million compared with the prior corresponding period and was expected to decline further in the current year. Borghetti stressed that these were non-cash measures and had no impact on the fundamentals of the airline group’s underlying business. “We’ve delivered record improvements in our cash and leverage positions this year. It is important to remember cash flow performance is king,” Borghetti said. “It is important that we generate cash from our operations and that is exactly what we have been focused on through the Better Business program and that focus is without doubt delivering results. I don’t know it I’ve ever read so much SPIN in my life. There’s more Accounting gargon than you can shake a stick at! I’m very glad that JB is very comfortable with VA’s position… Many critics have called VA Qantas Lite, but the sad reality is that they are a long way off being even close to that – Double Check-In procedures, tired and uncomfortable seating and the extruded poo stick that is apparently the in-flight food…..
I’m with you Tony. Certain people espouse Borghetti’s tenure at Virgin as that of some super CEO (just ask John and he will tell you) and in reality since he took over, Virgin has lost over a billion dollars. Joyce at Qantas has truly turned it around and while no friend of the unions, saved it from oblivion. Spin indeed.